Home / cable TV / HD digibox / iWant TV / JM Rodriguez / Maricar Reyes / Morisette Amon / Rodrigo Montinola / SKY Cable Corporation / SKY On-Demand / SKYbroadband / skycable / SKY On-Demand Levels Up! Imagine watching your most-loved cable TV and local shows, and even movies, on your big TV screen at home. No, you don't to be a pirate to do it! You just simply need a SKY On-Demand at home, and voila! The best online entertainment at the comfort of your home! A few days ago, at the Loft @ Manansala in Rockwell, SKY Cable Corporation hosted an event dubbed as “The Big Level-Up,” where they launched its latest innovation on cable TV, the SKY On-Demand. The most advanced feature that runs on the most advanced digibox to date, SKY On-Demand harnesses the capabilities of SKYcable and SKYbroadband subscriptions to utilize the popular video streaming site, iWant TV. Both the SKY On-Demand digibox and the video on-demand service will be made available to the public this March 2015. 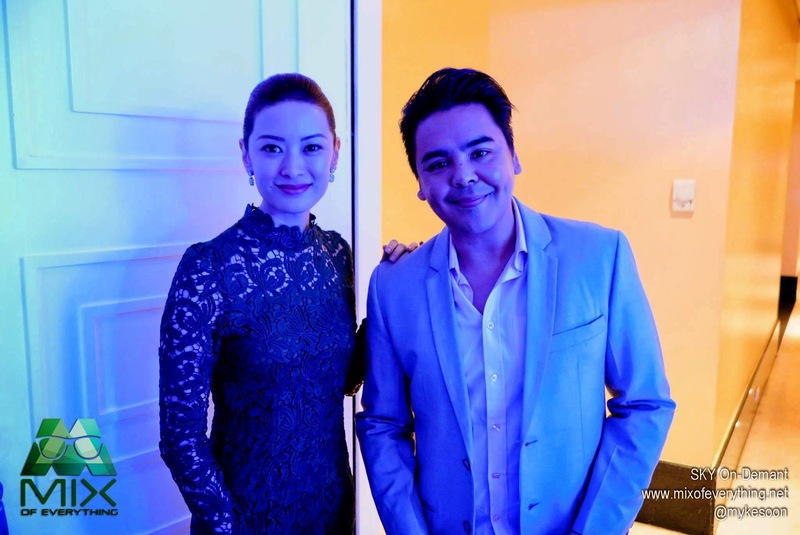 The event which was hosted by Kapamilya stars JM Rodriguez and Maricar Reyes, also featured enthralling performances by Kapamilya Diva, Morisette Amon. During a number of the event’s segments, representatives from SKY discussed how SKY On-Demand works, and even gave a glimpse of what content can be streamed and watched. With SKY’s new on-demand video streaming capabilities brought straight to the big TV screen, SKY On-Demand is set to change the viewing habits in the Philippines. From streaming shows like House of Cards, Master Chef, Restaurant Impossible, Pawn Stars, Bondi Vet, Scorpion, Extant, Red Band Society, Ben 10, Dora, Adventure Time, Chowder, to TV Patrol, ASAP, Forevermore, Two Wives and a whole lot more, these are now possible through SKY On-Demand. This is the answer to the viewers’ long-time need to catch-up on their missed episodes or relive their favorite movies directly on TV. Made possible by the impressive and growing video-on-demand library of iWant TV, SKY On-Demand allows every member of the family to catch-up on episodes of local and foreign cable TV shows using their big TV screen at home. And to truly bring the customer’s viewing experience at home to the next level, SKY On-Demand also brings video playback functionality and personal playlist creation to TV screens. This will allow each member of the family to experience premium channel programming alongside a robust service that will enable them to stream any series or film of their choice. Ultimately, SKY On-Demand is for the benefit of all Filipino viewers since. “SKY continues to push technology to the next level with only one objective in mind - to Wow its Customers”, said by SKY Cable Corporation's COO Rodrigo Montinola. SKYcable subscribers can soon use this new service by simply upgrading their current SD or HD digibox to the new SKY On-demand digibox for a one-time fee of as low as Php499.00 depending on their cable TV subscription plan. Subscribers can opt-in for upgrades after the consumer launch in March this year. New SKYcable subscribers will soon be able to avail of the service for as low as Php2,199.00 installation fee. Although SKY On-Demand can be accessed using other wired home internet providers, this value-added service is best experienced with SKYbroadband. For more information on SKY On-Demand, kindly visit mysky.com.ph.